Brewer Description: (from website) He is a ruler, an overlord, a top dog, a crowned head. In the richly varied domain of prokaryotic microorganisms, Jelly King reigns supreme. Rather than choosing between sour or hoppy, we decided to create a beer that would be both at the same time. Showcasing the aromatic benefits of a generous dry hop (Citra, Amarillo, and Cascade), harnessing the pleasing acidity of lactic acid producing bacteria (we use a 5-strain house blend), and coming to a bottle near you without a pesky 2 year slumber in oak, Jelly King is the fermented embodiment of having your cake and eating it too. This limited edition version includes a large dose of three tropical fruits that we hold near and dear to our hearts – adding explosive aromas and flavours of tropical fruit and a deep hazy orange hue. Intro: A 500ml bottle with no bottled on or best before date. Poured into a 3 Fonteinen stemmed glass. Appearance: A hazy golden orange colour with a two finger white head that dissipated quickly and left pretty much no lacing. Aroma: Jello fruits, tart, guava, passionfruit, mango with light grapefruit zest and ginger. Taste: Sour, tart and juicy. Guava, passionfruit, grass, light grapefruit zest and citrus peel. 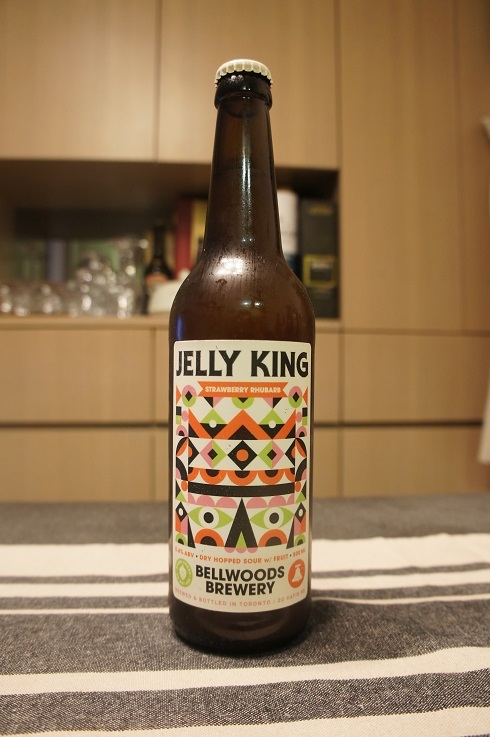 Overall: Another great Jelly King variant from Bellwoods. 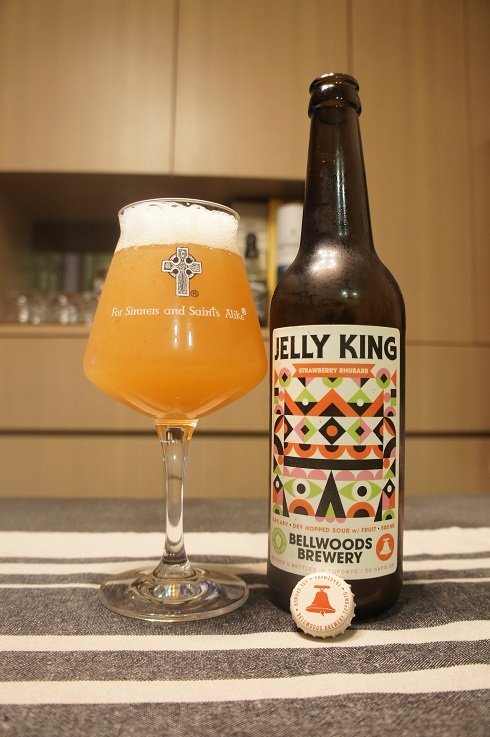 I’m loving this dry hopping and addition of fruits to the base Jelly King. Just so refreshing. 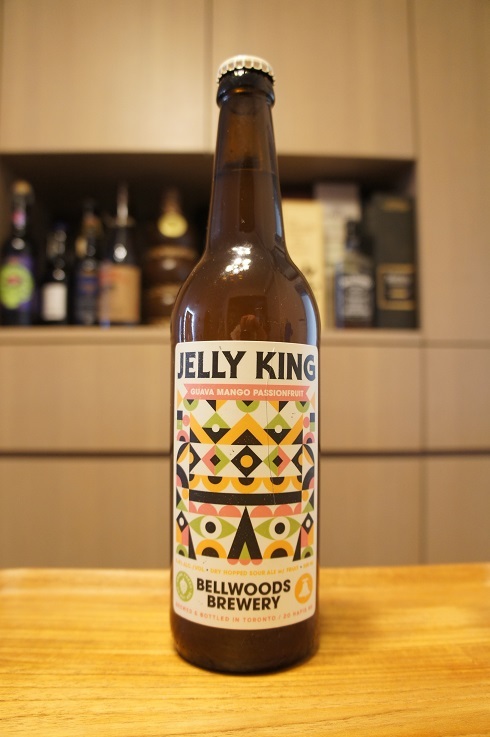 Brewer Description: (from website) This limited edition version of Jelly King includes a large dose of strawberry and rhubarb purees, blended on top of a mixed fermentation sour ale. In addition, we added a complimentary dose of Citra-Mosaic-Cascade in the dry hop. The result is juicy, sour, and bursting with jammy aroma and flavour that comes enrobed in a dusty rose hue. A classic combo served on top of a sour beer for your pleasure. Intro: A 500ml bottle with no bottled on or best before date, poured into a Lost Abbey teku glass. Appearance: A cloudy guava pink colour with a two finger white head that dissipated quickly and left sparse to no lacing. Aroma: Sweet jelly fruitiness, strawberry, peach and apricot. Mixed berry instant jello. Taste: Very juicy, moderate tartness, lightly sour. Strawberry, rhubarb, lemon and peaches. Overall: Really tasty stuff, and I felt that the addition of strawberry, rhubarb and dry hopping improved upon the base beer Jelly King quite a bit. Perfect for a hot summer day. Brewer Description: (from website) Named after the elusive creature with the head of a shark and the body of a boy that first swooped in on a broom during construction of the brew pub, this imperial IPA can elevate a bad day to good. 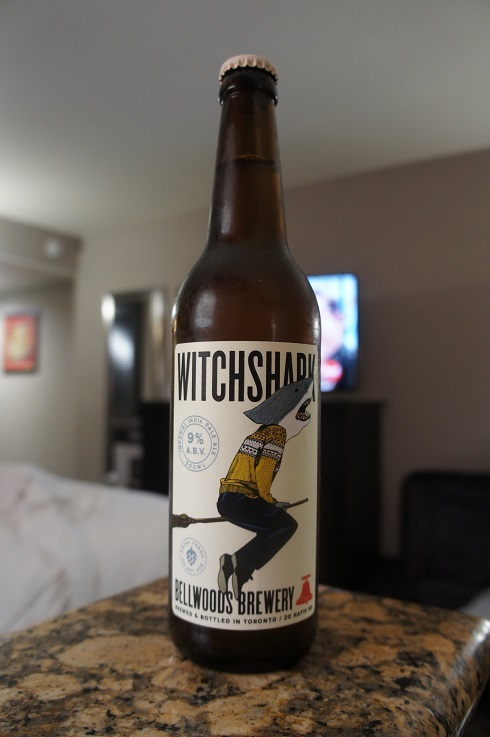 The Witchshark is shy and mischievous, but once you let him into your heart you’ll see why this intense brew is such a popular one. Intro: A 500ml bottle with no bottled on or best before date. Poured into a Holy Mountain tulip glass. Appearance: A lightly hazy golden colour with a two finger white head that had good retention and left nice lacing. Aroma: Tropical mango, peach and pine with a herbal element. Taste: Bitter, earthy, dank, pine, herbal, peppery with only hints of pineapple. Overall: Not as juicy as I expected based on the nice aromas. It was still good to drink, but I definitely preferred the aroma. 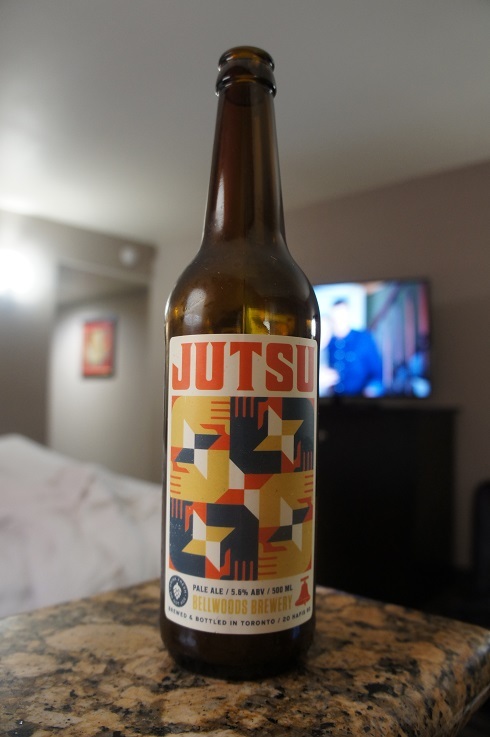 Brewer Description: (from website) In life, Jutsu is all about stealthy ninja techniques (well actually, techniques, skills, methods, tricks, or spells according to Wikipedia) but in beer it’s a fantastically balanced pale ale. Easy drinking with low bitterness. Brewed with an expressive Vermont ale yeast and weighing in at a cool 5.6%, it is quite easily the answer to a) your prayers, and b) the question, “What should I have to drink right now?”. Intro: A 500ml bottle with no bottled on or best before date, pouring into a Holy Mountain tulip glass. Appearance: A hazy straw yellow colour, with a one finger white head that dissipates fairly quickly, but leaves some nice lacing. Aroma: Tropical mango, pineapple, citrus grapefruit and melon. Taste: Similar to the aroma but less tropical and more citrus. Only lightly bitter. Overall: An excellent surprise. 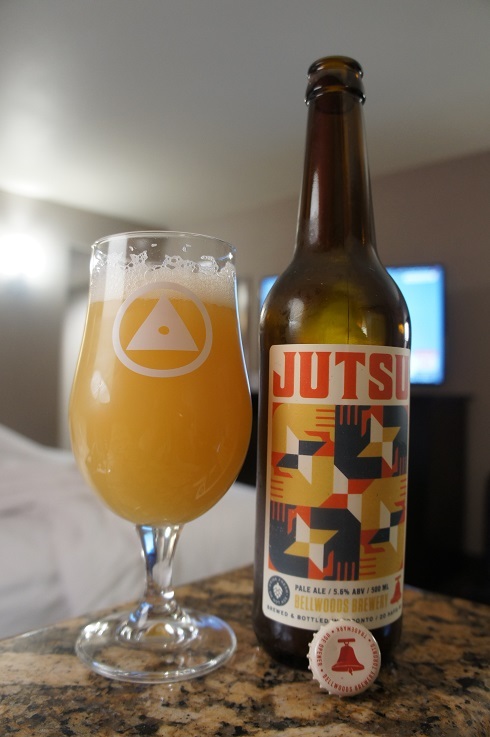 A very enjoyable, juicy, easy to drink and refreshing hazy Pale Ale. 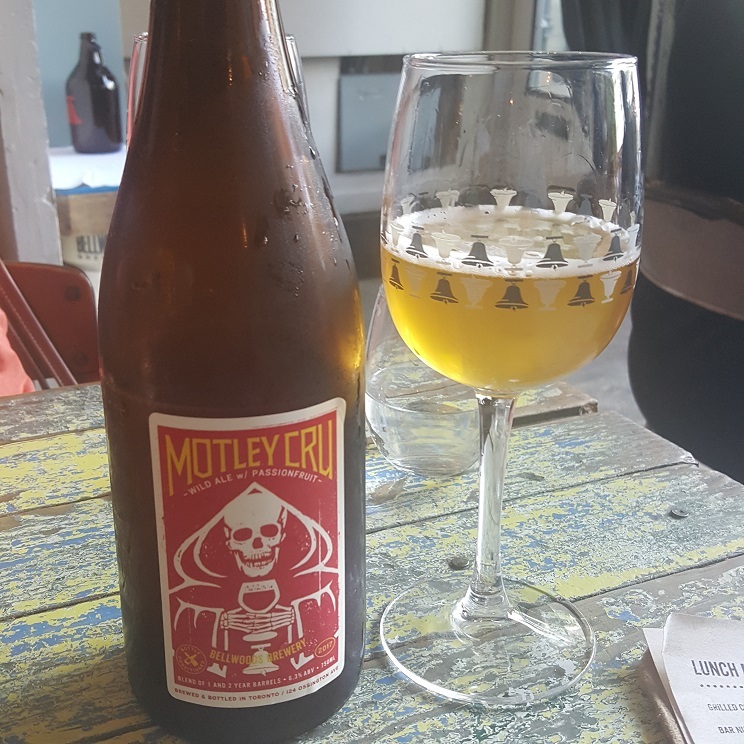 Brewer Description: (from website) Motley Cru is our anniversary release, with the only requirement being that the final beer must incorporate a blend of various barrels. This year’s edition is a wild ale with passion fruit blended from two mixed grain ales (containing pale ale barley malt, wheat, oats, and rye). 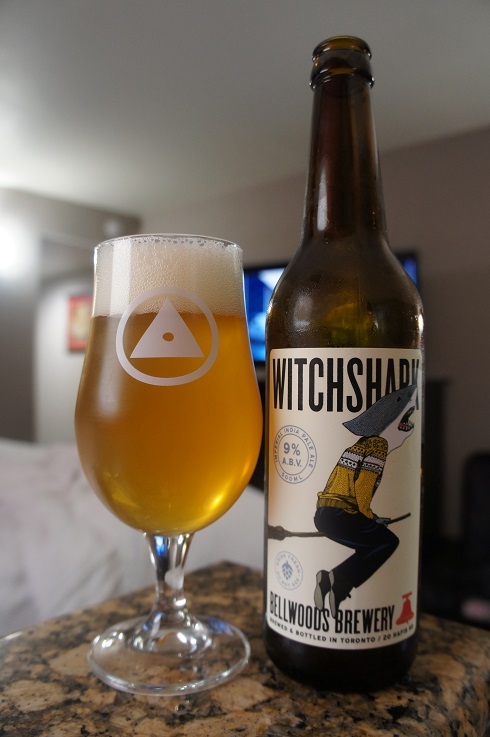 Both new American oak barrels, and old use (wild ale program) barrels from Niagara and Prince Edward County provide an eclectic range of wild and local yeast strains, and several hundred kilos of passion fruit puree create a fantastic balance of old world sour flavours and bright tropical notes. Extra time spent conditioning in the bottle provides a lively carbonation. Intro: A 750ml bottle at the brewery, 2017 vintage, poured into a Bellwoods stemmed wine glass. Appearance: A mostly clear golden straw colour with a thin white head that dissipated fairly quickly and left only sparse lacing. Aroma: Sourish and tropical, passionfruit, apricot and pineapple. Taste: Tart, sour, passionfruit and apricot with hints of lemon. Overall: Light, refreshing and easy to drink.